When it comes to choosing a bed, you want to know you’re picking something that’s built to last – which is exactly what you’re getting with Myers beds. Since 1876, the public have been choosing Myers’ beds time and time again, safe in the knowledge that they’re getting fantastic quality products at a great price. In other words, they’re getting great value for money – and now you can too. You can choose from a number of sizes, not to mention colours, so you’re bound to find something that suits your personal preference and taste. 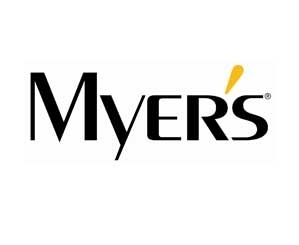 Myers has built a Worldwide reputation for producing some of the best mattresses on the market. As you’ll know, there’s no one-type-fits-all solution when it comes to mattresses; some people like it soft, others prefer firm, and some like it somewhere in the middle. Whatever support you’re looking for, you’ll find a Myers mattress that works for you. In fact, you can even choose from a number of mattresses that are specifically designed for those with back problems. We have listed the entire new Myers mattress range below, and you can filter through by various options, including Double size, Kingsize or Pocket Sprung Myers mattresses. We have put every effort into each Myers mattress review, and we are very proud to be a featured Myers stockist! Click Here for Orthopaedic Myers Mattresses or Click Here for Pocket Sprung Myers Mattresses. And if that wasn’t enough. . . .
You can complete the set with a Myers headboard too. Available in a range of colours, you’ll be able to find the style that best suits your individual taste. Take a look at the wide range of Myers beds and mattresses today and, if you find one you like, don’t forget that we offer free delivery on all UK items on a day of your choosing. So you get the bed you want, when you want it. If you do have any questions about any of the frames, headboards, or mattresses, you can always get in touch. Myers has been making beds in Cambridgeshire since 1876. The reputation of this English manufacturer has grown in that time, and is one of the most respected names in the bed industry. A Myers mattress has always been a mattress you can rely on to offer the best support and the best durability, outlasting their rival mattresses by years, and doing so for a fraction of the price. Myers stands for quality and value. Myers is famed for it's open coil springs and twin spring units, but in recent years has introduced Pocket Springs too. Myers is also well known for providing firmer feeling mattresses, although this too has changed over the years and Myers now has a wonderful range of luxury mattresses, as well as the traditional, orthopaedic Myers mattress.